This entry was posted in Fitness, ISSN, Products, Sports Nutrition on March 11, 2015 by Kaitlyn Baran. This entry was posted in Articles, Fitness, Products on October 23, 2014 by Jose Antonio. Delicious Protein – a GIANT Hit Indeed! This entry was posted in Products on May 10, 2013 by SNI. 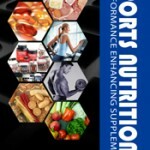 This entry was posted in Products, Sports Nutrition and tagged Advantra Z, bitter orange, synephrine on October 19, 2012 by SNI. This entry was posted in Articles, Book Reviews, Products, Sports Nutrition and tagged low carb on October 14, 2011 by SNI.